In general, physicians report that they are earning less and worrying more than they have in the past. What is it Like to Work in the ICU? 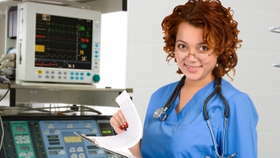 Working as an intensive care or critical care nurse requires expert technical skill and an innate ability to deal with stress during a crisis. Physicians have to comprehend every facet of the human body and keep up with the rapid pace of new scientific discovery and research in their field. ADN Versus BSN Nursing Degree... Which Will it Be? While both degrees can lead to a rewarding career as an RN, there are some significant differences in the academic preparation and, subsequently, the job description and responsibilities that accompany each program. If you're an allied health care professional, you may provide direct patient care or have indirect patient responsibilities. What kind of income can you expect from your allied health position? Check out our comprehensive list of healthcare salaries! 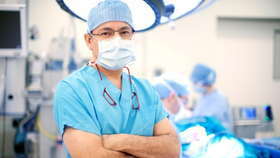 Anesthesiology doctors are physicians who specialize in the practice of anesthesiology. The demand for athletic trainers is expected to increase by 30% in the next 10 years. Is being an anesthesiologist right for you? Cardiovascular technicians are a vital part of a hospital's staff. Certified medical assistants are crucial members of prosperous economies countrywide.